Pebble Hills University (Herein referred to as PHU) and The Society of Accounting Education (Herein referred to as SOAE) have decided to place mutual confidence in one another’s training/academic qualifications. 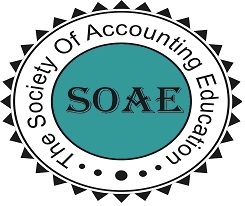 Certified Financial Accountant of SOAE will be awarded Master of Business Administration in Financial Accounting by PHU upon payment of relevant fee to PHU. Please contact us at admission@pebblehills.university for more information.